Dirty Little Secret | Hey Girlfriend! May is rushing past and I’ve hardly had a time to keep up. Finally I got a chance to delve into some SL and see what I’ve almost missed. First thing I did to catch up was take a peek at the Keep Calm & Keep Shopping event, going on now thru May 28,2012. Participating designers have created exclusive items for this event, that will not be available later, so you will not want to miss any! 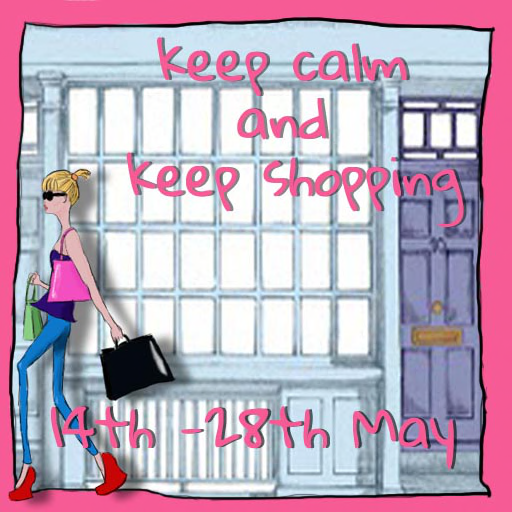 See the Keep Calm & Keep Shopping blog for full list of stores and other info. Dirty Little Secret has something fun for KCKS, a Dressmaker’s Studio. You can see a peek of it here, it’s filled with furniture and decor and makes a great hang out for all designer and fashiony types, and its plenty roomy for creating in. Clutter, one of my fave stores, has a yummy chair out, I managed to find a special spot for it in the Studio. Coloreta’s is a store new to me, and this top they’ve made includes a very cool skirt but I opted to wear it with my favorite white jeans for a fun summer look. I also got a chance to check out some new tatts from Essential Soul, and I’m loving this Koi Pond..I usually don’t go for colorful but I cannot seem to take it off. A few of my favorite groups have been sending gifts of late too, Belleza being one, with the nummilicious Lily V2 which has me thinking I need more of this skin for sure. Pixel Mode has gifted it’s subscribers with a fun pair of blue wedgies, perfect for summer wear.